These customers were a blast to work with! This project consisted of many things. We tore out carpet in the dining room and laced in raw red oak flooring. We had to shave down the subfloor in order to make the dining room level again. We also fixed all the squeaks in the subfloor! 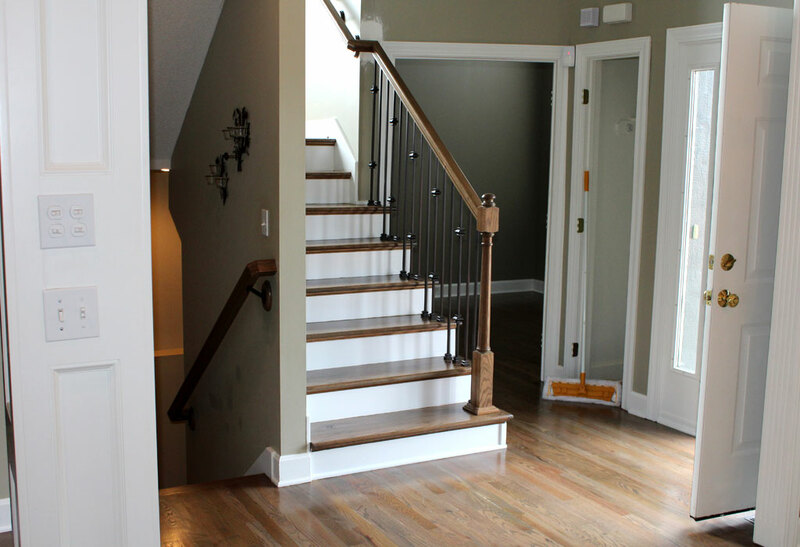 The stairs got completely tore down including all the balusters, handrails, and newels. 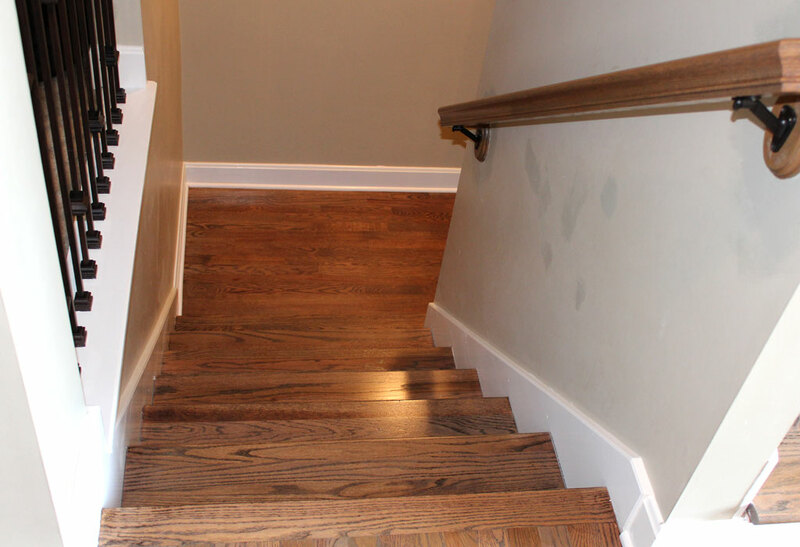 Our team did a fantastic job installing the new treads, risers, handrails, newels, landings, and balusters. This project took our team seven days to complete. 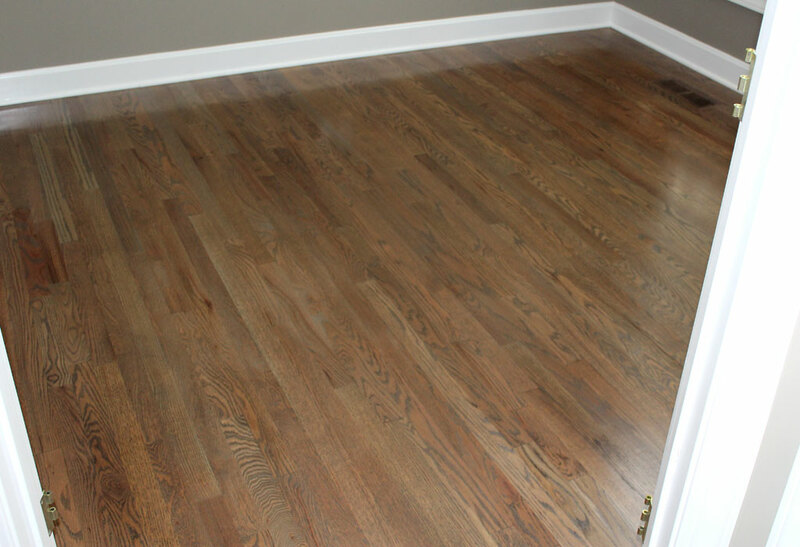 Stacie & Mike choose a blend of classic grey, weathered oak, and provincial. 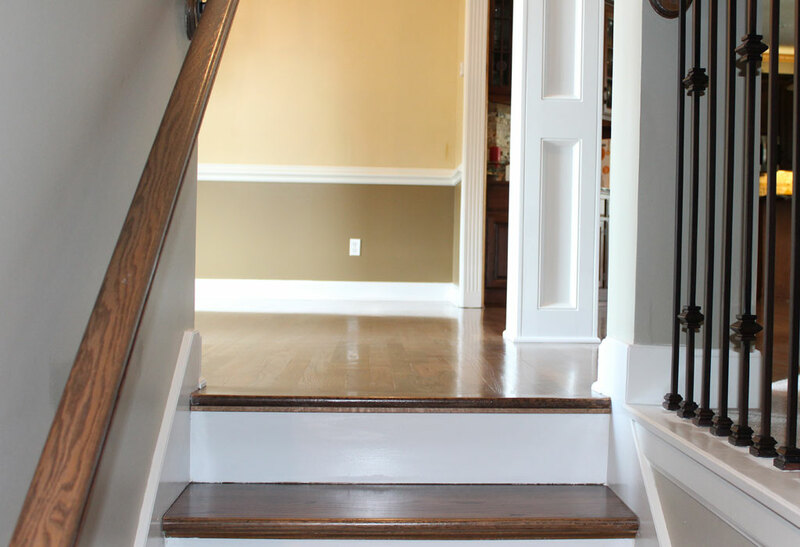 This created a very unique color that blended perfectly into their home. 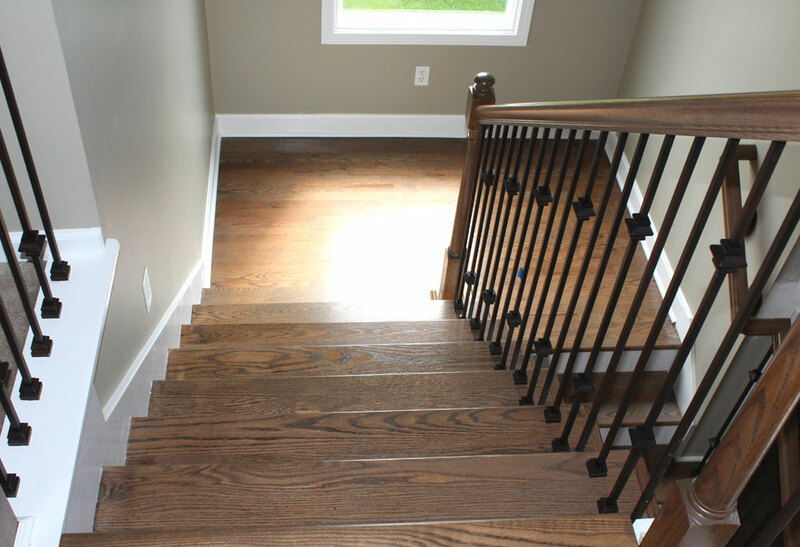 They choose a semi-gloss industrial finish for their shine.